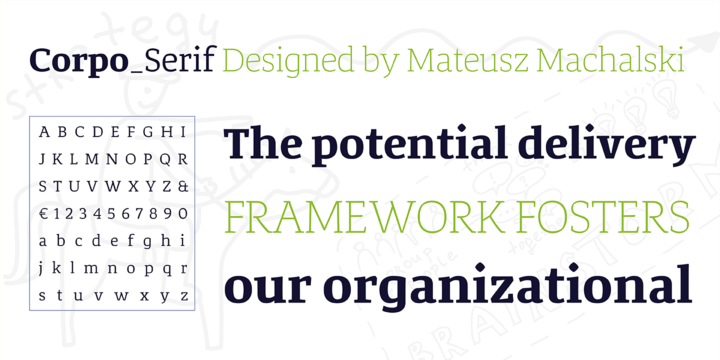 Corpo Serif is a new version of old font Korpo Serif, created by Mateusz Machalski and published by Borutta. It is available in 12 styles, 6 weights matching italics and the high contrast & high x height makes it perfectly for headline, logo, magazine, poster, display use. You might want to check Corpo Sans. A font description published on Monday, April 6th, 2015 in Borutta, Fonts, Mateusz Machalski by Alexandra that has 2,766 views.